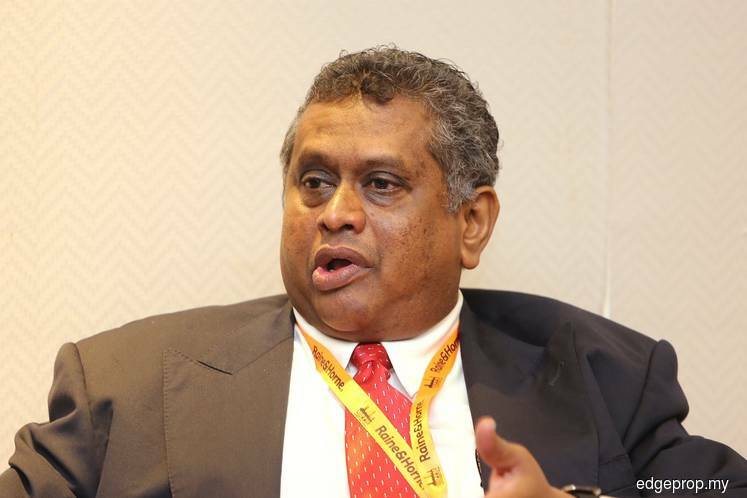 KUALA LUMPUR (Nov 29): Malaysia’s property management sector is still far from being ready to embrace property technology (prop tech), said Malaysian Institute of Professional Property Managers (MIPPM) president Sarkunan Subramaniam. “I believe a lot of them (property managers) are not ready because they are not familiar with prop tech. The readiness should come from awareness. This is what MIPPM is trying to do,” said Sarkunan in the press conference after the opening of the MIPPM Property Management Conference 2017. Themed “Prop tech: Driving the future of property management”, the conference is the second one since last year. EdgeProp.my is one of the media partners of the conference. “Property managers understand that prop tech is the trend, but they don’t know how important it is to embrace prop tech before it is too late, and which to choose, as there are so many choices out there with different price ranges. Therefore, awareness is very important. “The industry needs someone to turn on the lights, create awareness and provide the platform for learning. This is the role that MIPPM trying to play,” Sarkunan said. He said prop tech can simplify procedures, help gather transparent data and set up systems, as well as save on cost. The organising chairman of the MIPPM conference Adzman Shah Mohd Ariffin also concurred with Sarkunan. “Prop tech makes thing easier. For a simple example, you’ll need less security when your property is under surveillance by CCTV. As the cost of managing property goes down, the maintenance fees will also be reduced,” Adzman said. The conference was officiated by Deputy Minister of Finance II Datuk Lee Chee Leong. He praised that the theme for the conference is indeed very relevant and timely especially in view of Industry 4.0 and the rapid technological advancement that Malaysia is currently embarking on. “Disruptive change is coming. We cannot avoid it. We must embrace it. The property sector in Malaysia is expected to be the next industry to face disruption, as property websites utilise artificial intelligence and virtual reality, to transform each stage of home purchases and deliver end-to-end services that are currently offered by estate agents,” said Lee in his opening speech of the conference. He added that prop tech is becoming the new fintech, citing a report by HSBC Bank Malaysia from its latest “Beyond the Bricks” home-buying report on August this year, prop tech firms has grown from RM945 million in 2012 to over RM8.5 billion in 2016.